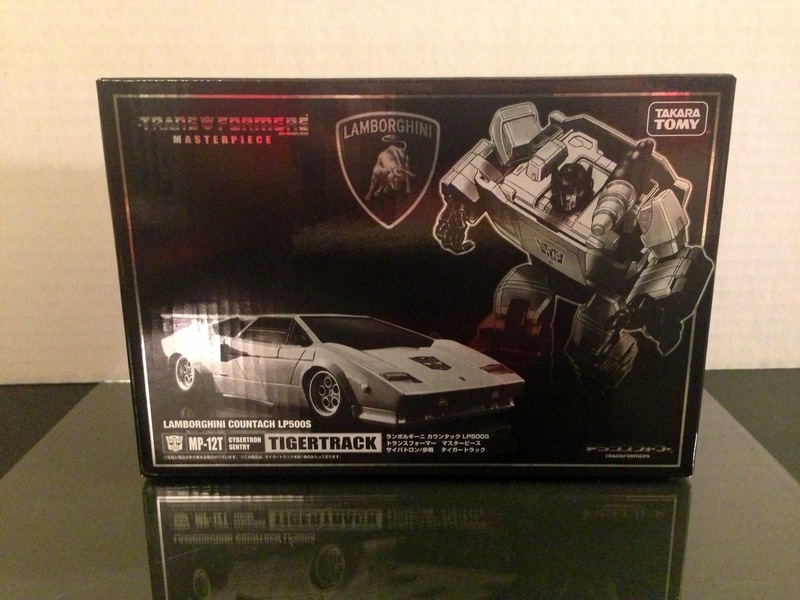 So here we have Masterpiece Tiger Track, and woo doggies is he a gem! 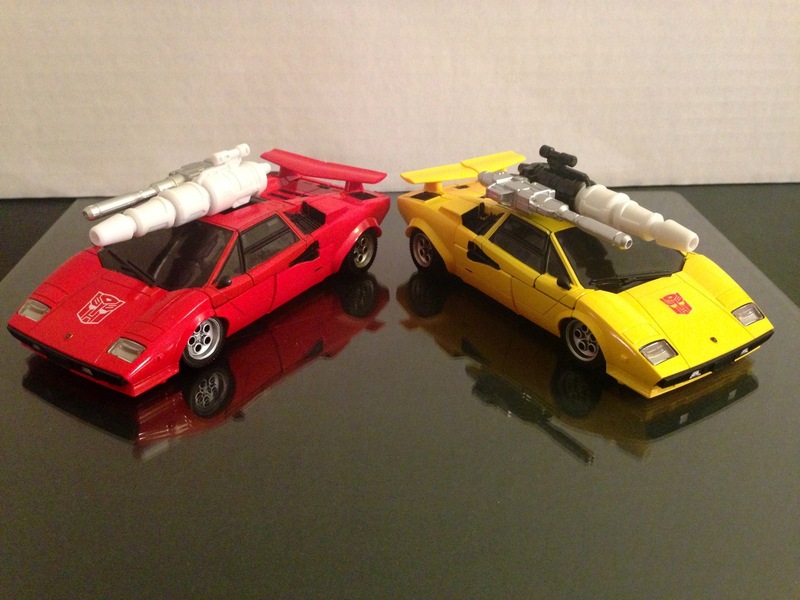 He looks particularly excellent next to Sideswipe! It’s a nice way of distinguishing him from the other two, even if its subtle. 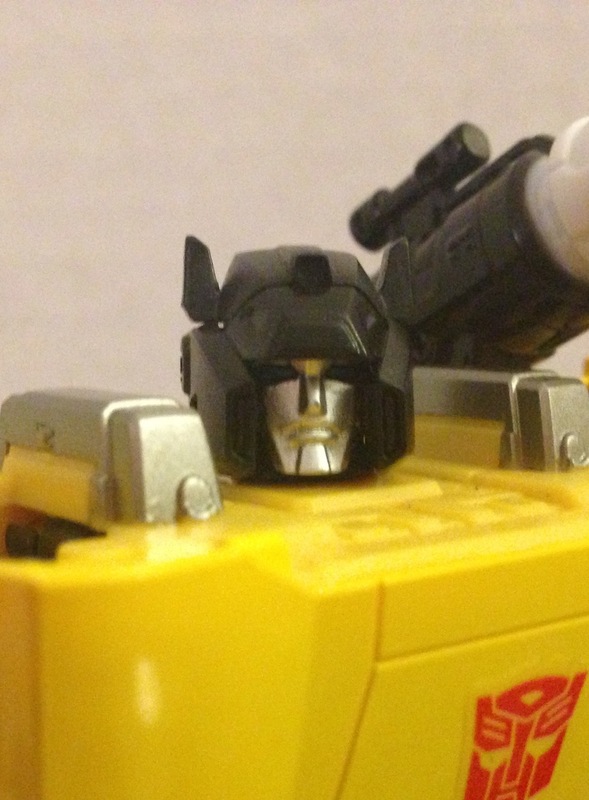 He comes with two separate chest symbols to use, a large version like Sideswipe or a smaller version. I went with the smaller one, again to differentiate the two. I’m glad to have them but honestly, I’ll just keep them in the box. 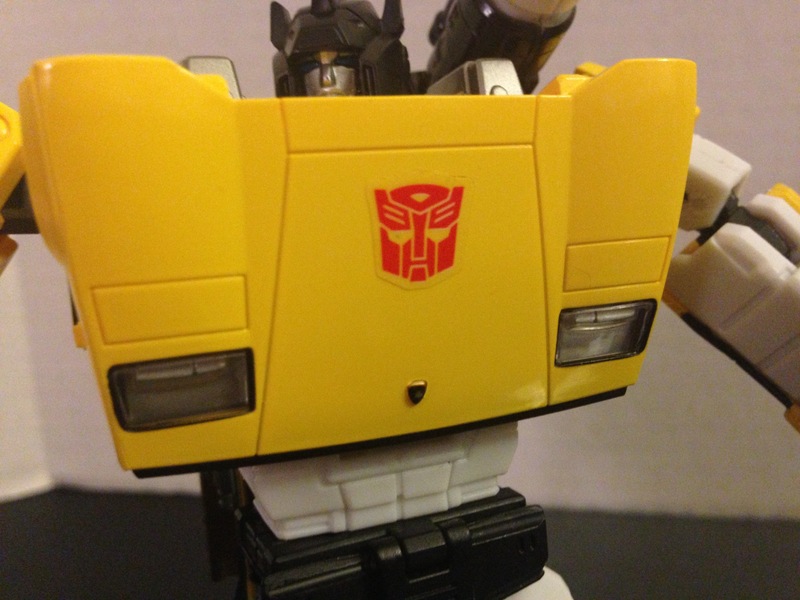 I can’t recommend this figure enough. 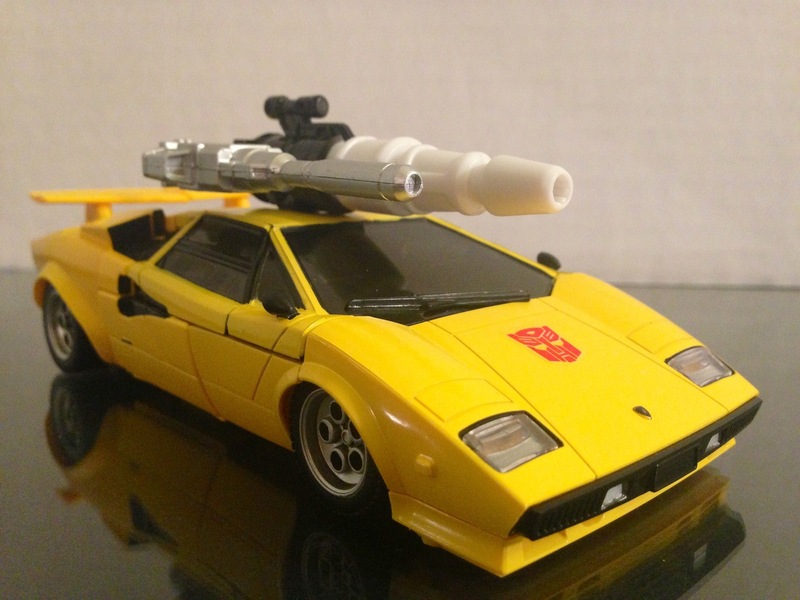 MP Sideswipe uses a great mold and this is one of the most successful reprints I’ve seen. 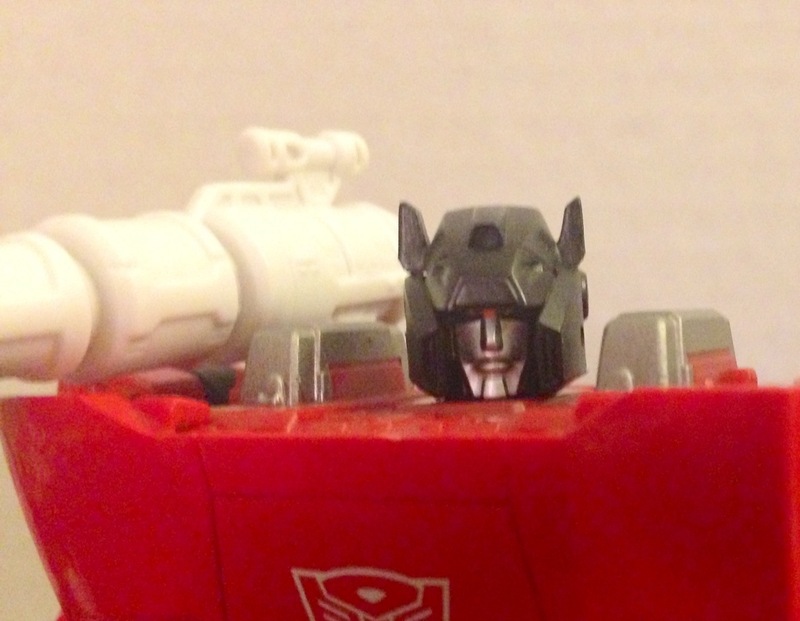 It makes me truly regret not buying Red Alert. Don’t wait too long on Tiger Track he won’t see the production numbers the other two saw. 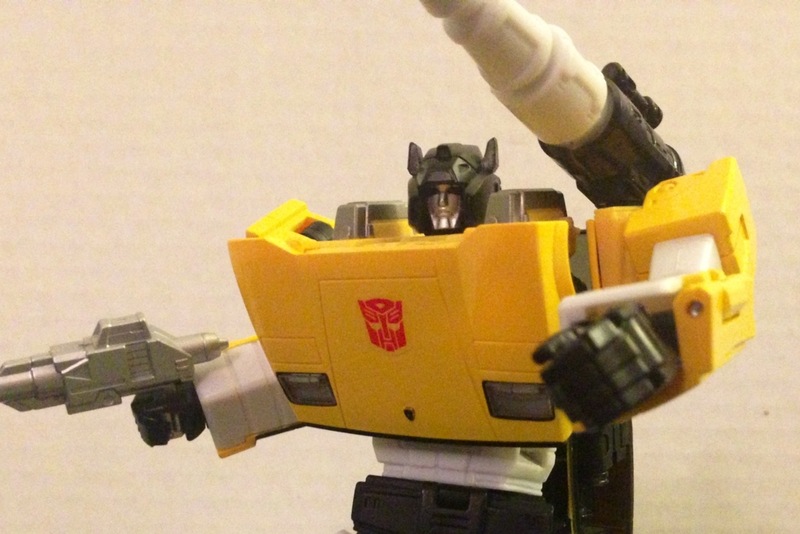 Next Post: PaxCybertron is heading to TFCon! 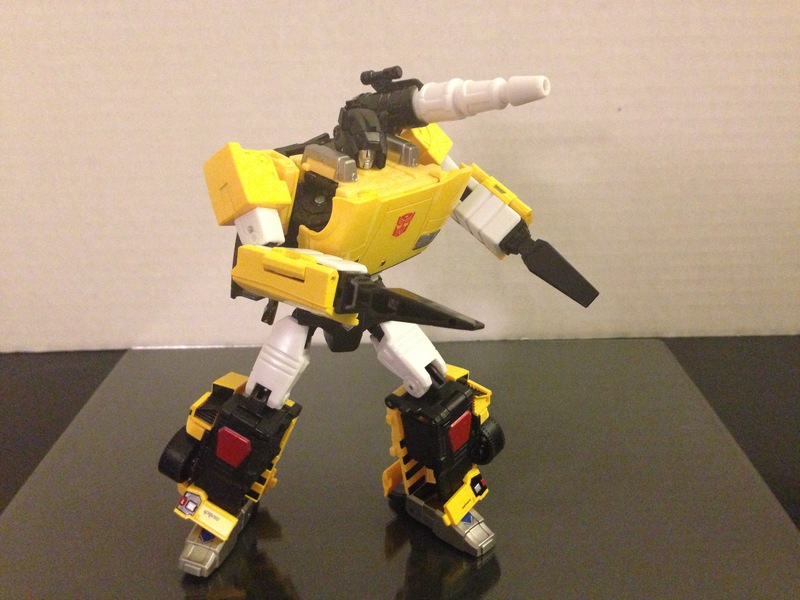 I know people are getting sick of this mold already, but it’s just too awesome. Especially in this great deco. He’s just outstanding. 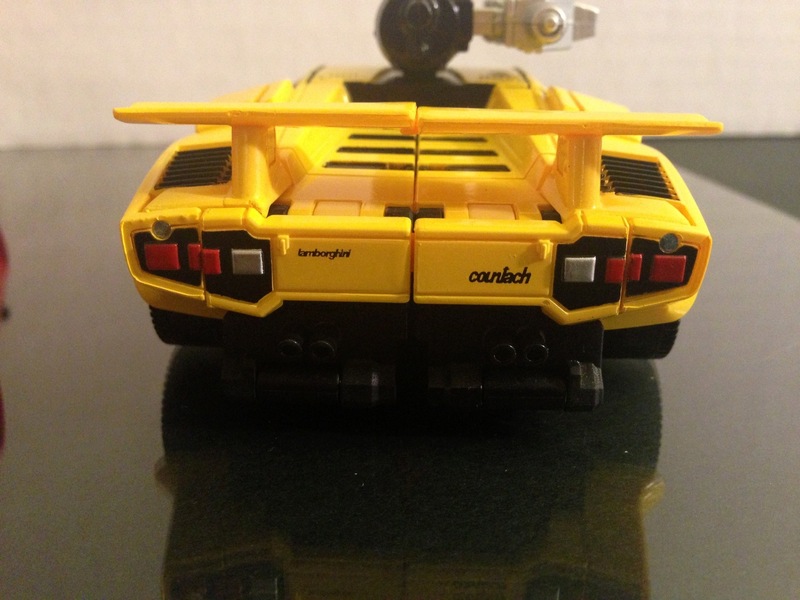 I am absolutely getting G2 Sideswipe as well! 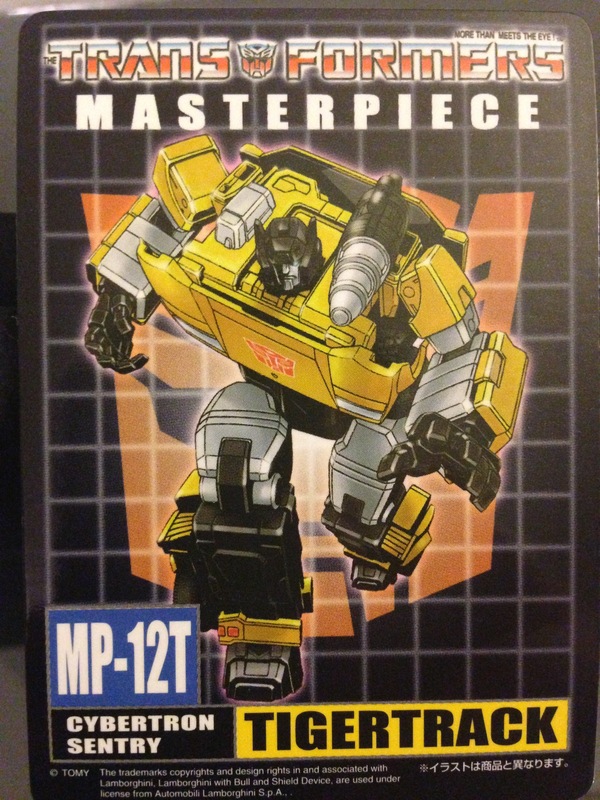 whoa I didn’t even know about this repaint! looks tempting… may have to buy.,.. I figured that I didn’t “need” this release, but man am I ever second guessing my decision now! That’s how I feel about Red Alert! !